Freighter: Built in 1918 by the Northwest Steel Co., Portland, OR; Acquired by the Navy 21 November 1918 and commissioned the same day at Puget Sound Navy Yard, Bremerton, WA; Decommissioned 20 January 1919 at New York, struck from the Navy list and returned to the United States Shipping Board; Broken up in the late 1930s. Specifications: Displacement 5,508 t.; Length 428'; Beam 54'; Depth of hold 29' 9"; Draft 24' ½"; Speed 10 kts. ; Complement 82; Armament unknown. 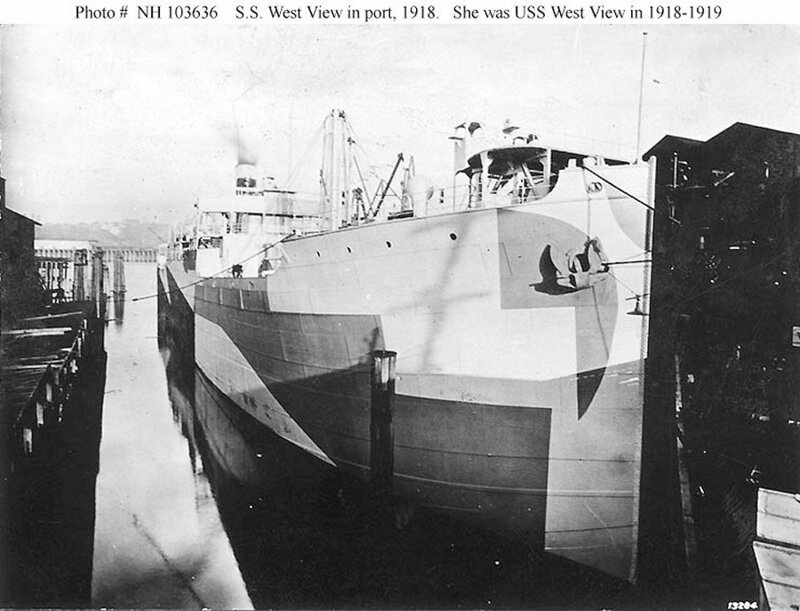 114k In port, circa Autumn 1918.